Compact and PU reinforced, Atlas is resistant to heavy wear and offers an easy and cost effective maintenance. Atlas is treated with a bacteriostatic protection for a perfect hygiene. The harmonious color palette will suit all types of interior designs, from warm and natural to cool and technical. It is recommended to use Atlas in the following places: public buildings, offices, shops, schools, hospitals, airports and all heavy traffic areas. Atlas AS (antistatic dissipative) and Atlas ESD (conductive) have antistatic properties, and therefore can be used in places where an ESD control is necessary (computer rooms, operation rooms, laboratories, factories,…). 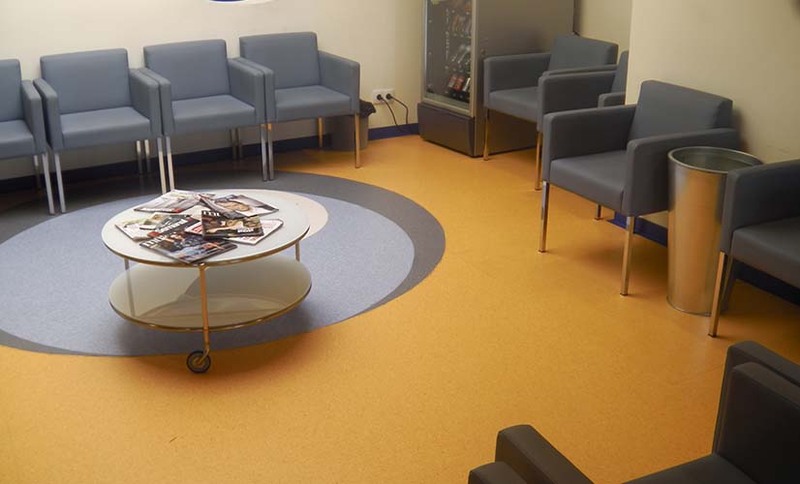 This direction-less homogeneous flooring responds to the highest criteria from schools, public places when it comes to hygiene, resistance, maintenance and budget. It is antistatic dissipative flooring which allows its installation in computer rooms, laboratories, operation rooms measurement rooms, military industry. 9 designs and 1 thickness (2mm). Available in rolls. Our homogeneous floorings Atlas have to be glued on a dry and even surface with a water-based acrylic adhesive. In order to offer an easier and cheaper maintenance, our vinyl floorings Atlas are protected with the Supraclean® treatment. The pores of the floorings are sealed, avoiding the dirt to penetrate. Atlas must be cleaned with a neutral detergent for vinyl floorings (Dr. Schutz, Ecolab, Johnson). The cleaning can be made either manually or with a rotative cleaning machine.